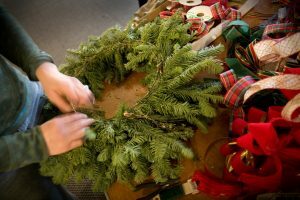 Join us for a Wreath decorating workshop on Tuesday, December 11th from 6-8PM! Decorate a custom 12″ fraser fir wreath to celebrate the Holidays! Tickets are $39.99 and all materials are included. We will have adult beverages available for all guests!